Timothy Fosu-Mensah's first-half own goal gave Huddersfield a 1-0 home win against Fulham and their first Premier League victory of the season on Monday. 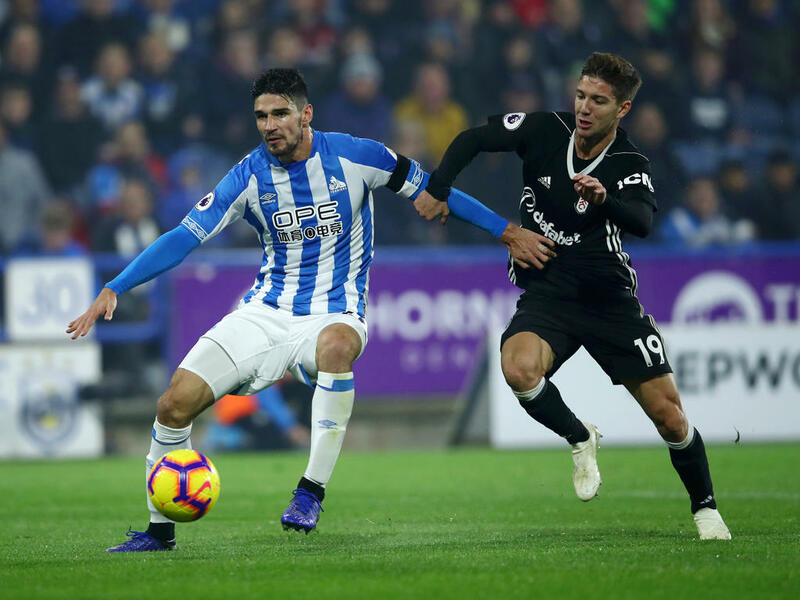 The Terriers' winless league run stretched back to April -- 14 league games in total -- but manager David Wagner was able to celebrate on the night of his third anniversary in charge with a morale-boosting victory. Fulham's fifth successive league defeat did little to ease the pressure on boss Slavisa Jokanovic, whose side's own run without a league win was extended to eight matches. "I don't care who scored it or how we performed," said Wagner. "People know we can perform better. The pressure was on for both teams but how we fought -- we left everything on the grass. "It was deserved. First half we were clear and second half we were able to keep them away from our goal. "This is huge for us. We have the winning feeling back. For sure it is one of the most important wins we've had in the last three years. Everybody needed this belief back. It's massive for us." Huddersfield almost halted their barren spell in spectacular fashion when Philip Billing's 30-yard thunderbolt struck the crossbar in the 15th minute. Steve Mounie headed Aaron Mooy's cross tamely over soon after and Alex Pritchard's brilliant effort from outside the area was expertly clawed away by Fulham goalkeeper Sergio Rico. But Huddersfield's agonising wait for a goal at home was finally over in the 29th minute, making it 659 minutes in total. Christie's cut-back was cleared behind by Hogg and Mooy headed away the corner. Substitute McDonald had been forced out of the action due to a knock but Fulham began to make a fist of it. Schindler blocked Aleksandar Mitrovic's shot and Andre Schuerrle's effort was ruled out for an offside decision against the former in the 74th minute. Schuerrle shot off target again, while Town substitute Isaac Mbenza also spurned two half chances when sent through on goal in the closing stages. Town were not to be denied however -- and the first top-flight meeting between the two sides since 1952 ended in their favour.